Short sales refer to the sale of a property whose existing mortgage cannot be paid in full, and the current mortgage company agrees to settle for less. When the proceeds of the sale do not fully pay off the existing loan(s) and the lender(s) accepts a discounted payoff to fully satisfy the loan and release the lien on a property, it is called a short sale. This gives the current homeowner a full release of the lien (mortgage) the lender has on the property. A lender will agree to a short sale because it benefits them more than taking a property through foreclosure. A seller may try for a lender approved short sale if they owe more on their home than it is worth, and are trying to avoid foreclosure or bankruptcy. 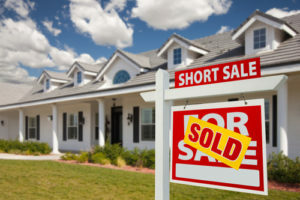 The short sale results in a substantially reduced purchase price for the buyer, who, once a price is agreed upon, proceeds with the purchase of the home much like any other real estate transaction. In a typical real estate transaction, there is a buyer, seller, buyer’s lender, real estate agents and a title company. With short sales, additional participants join the cast. The lender who holds the current mortgage of the seller and the individual or company who is working with that third party lender to get the short sale approved are now part of the process. Typically, purchasing a property being sold as a short sale is a lengthier process, because approval from the third party lender has to be obtained. The staff at Front Door Title has for years now been working with real estate agents who are listing short sale properties and mitigators who are working with the third party lenders for approval to ensure a smooth and timely settlement. Call us today at 410-870-7070 to schedule a short sale consultation. The Short Sale process is not a simple or a short one, though. But it is a good solution for many homeowners who are underwater on their mortgage. Mortgage lenders are increasingly willing to work with borrowers faced with a financial hardship to accept a discounted payoff on a mortgage. If you are faced with a hardship that makes it likely you will be unable to pay your mortgage, your lender would prefer to settle the matter with you as opposed to taking the property through foreclosure. By approving a Short Sale, your lender has arrived at a solution that is, for them, much better than a foreclosure. If you are unable to pay your mortgage and are facing foreclosure, it’s important that you consider negotiating a short sale with your lender. If your lender agrees to a short sale, they pay all acceptable and agreed upon costs associated with selling your home. Remember, lenders approve Short Sales and accept the resulting loss in an effort to avoid bigger losses through foreclosure. A key component in the short sale process is getting your lender to approve a Short Sale in the first place. Generally, as long as the hardship is real and the mortgage company believes you are likely to become delinquent on your loan as result, the Short Sale request will be processed by the Loss Mitigation Department. A big part of getting Loss Mitigation to accept a hardship is to submit a strong hardship letter. The hardship letter sets the tone for the entire file. Following is a list of “hardships” that are commonly accepted by mortgage lenders. Of course, the lender will ask for documentation of varying sorts to back up your claim of financial hardship, so be prepared to supply pay stubs, medical bills, doctor’s notes, legal documents and more. Once a Short Sale has been approved, even once a buyer is found, the closing process can take several months. In the short sale, all agreements are “subject to lien holder approval”. Since the seller is requesting a discounted payoff from the lien holder (mortgage lender) all parties must allow the lien holder time to complete an evaluation to determine the value of the home and determine if the loss is justifiable. The lender wants to mitigate its losses, so the process of evaluation must be completed before approval is granted. This process can delay closing for several months. Buying a short sale property gives you instant equity and a very good deal for your money. The risks that go along with foreclosing on a property have mortgage companies looking for ways to avoid foreclosure and reduce their losses when a loan goes into delinquency. A Short Sale allows the mortgage company to limit losses on a delinquent loan and take the loan off their books. The discount a lender is usually willing to approve means the buyer gets a very good deal. The buyer has the exclusive right to choose the title company for settlement. When choosing a title company to handle your short sale purchase, consider the experience with the short sale process that the staff of the title company has. The staff at Front Door Title has the experience required to handle the complicated process involved with a short sale transaction and will be at your side to ensure your short sale purchase goes smoothly.